Magnificent Antique Sickle Leaf Design Persian Benlian Tabriz Rug , Country of Origin / Rug Type: Persian Rug, Circa Date: 1920 – This finely woven and beautifully colored antique Persian Tabriz rug, that was woven by the famed Persian Benlian weaving company in the city of Tabriz, boasts an intricate sickle leaf design that captivates attention. 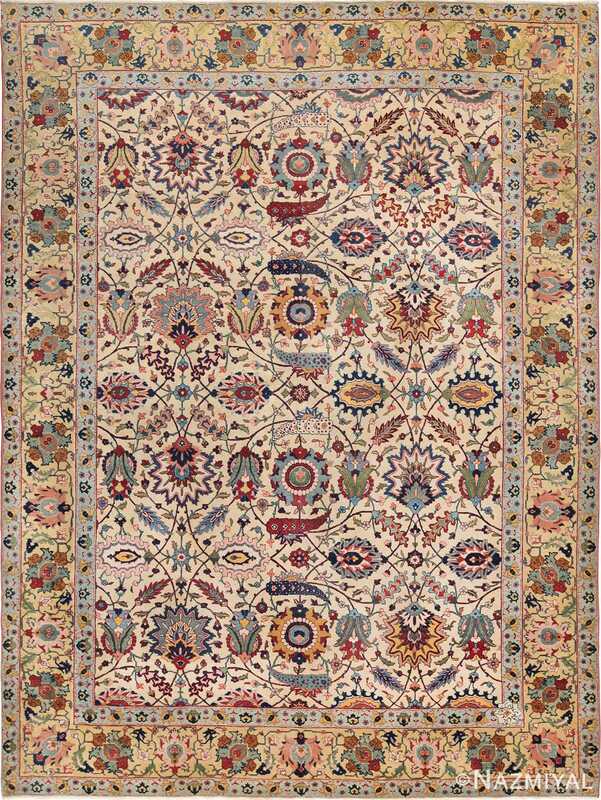 The large happy colored floral patterns are set against a neutral background, allowing the designs to truly stand out. 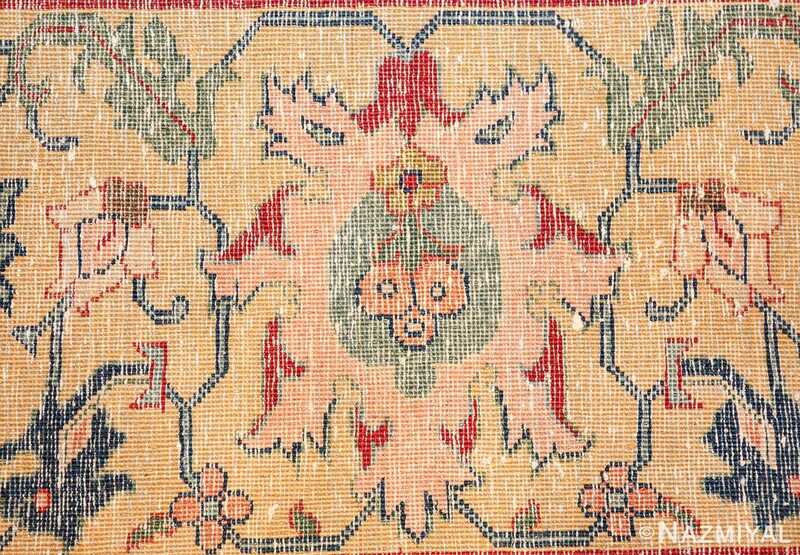 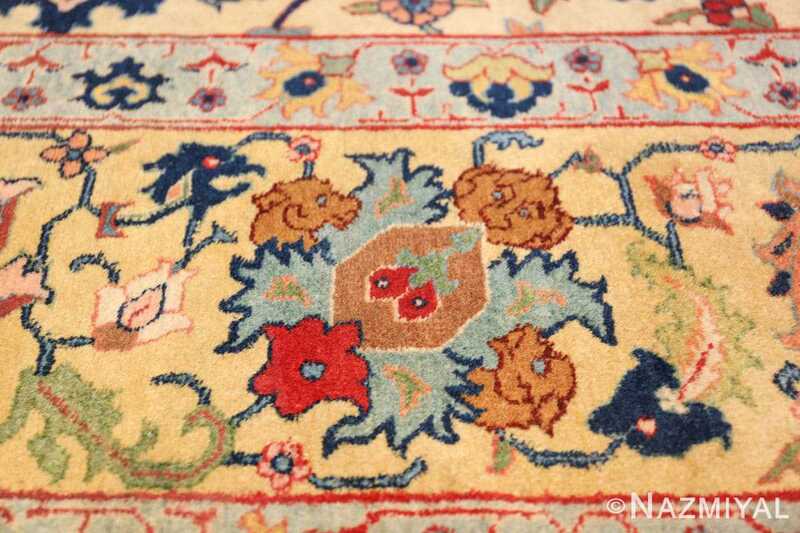 A series of three beautifully rendered borders frame the rug and draw the eye progressively towards the center of this antique carpet. 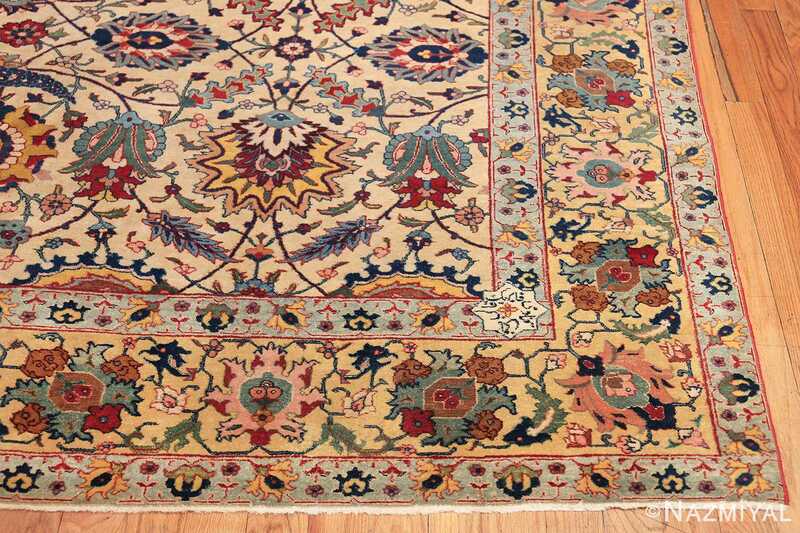 The borders feature a series of repeating floral patterns that are set against a light blue and soft yellow background. 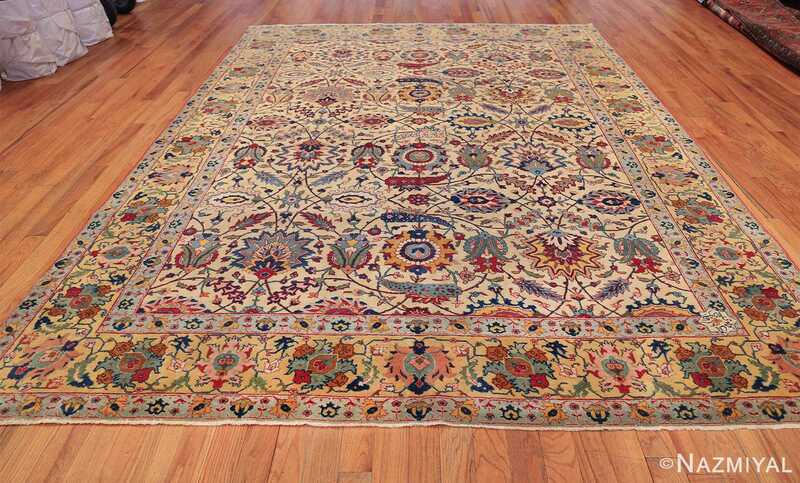 This creates a clear delineations between the different sections Oriental rug. 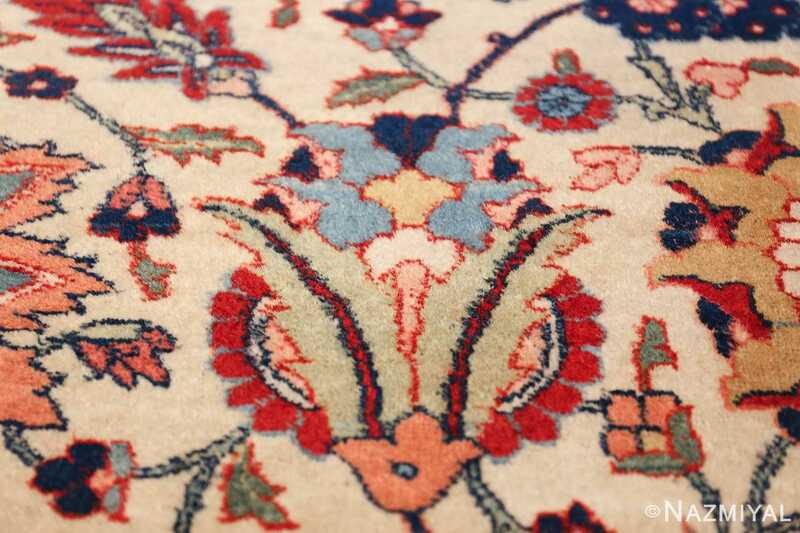 The variety in soft yet happy colors, creates a unique and interesting presentation. 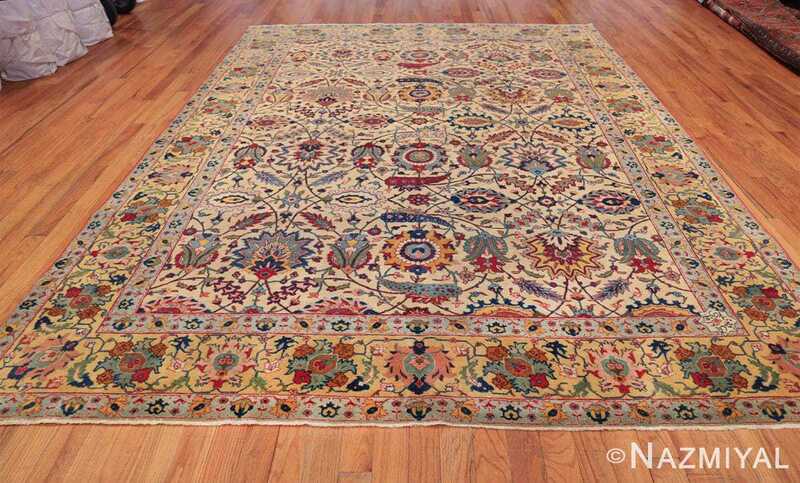 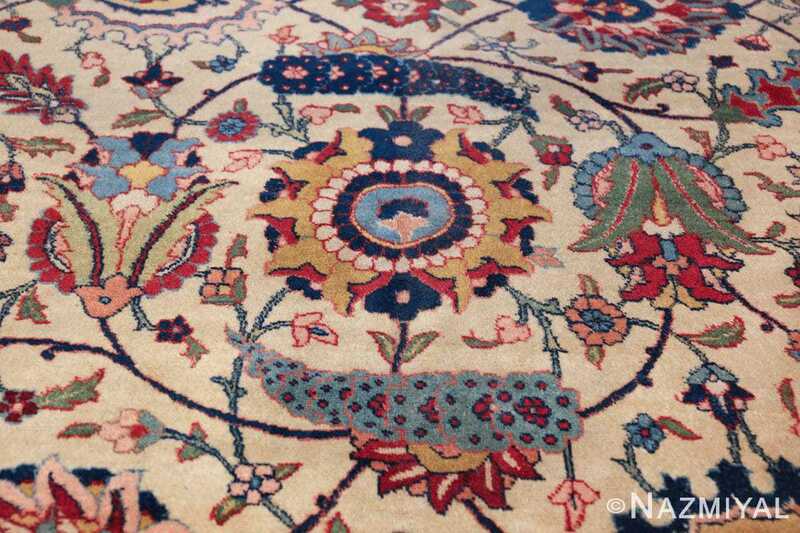 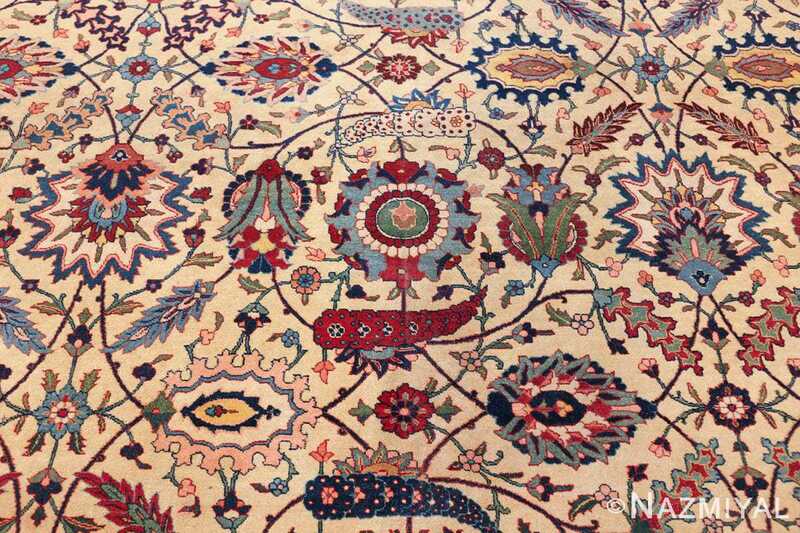 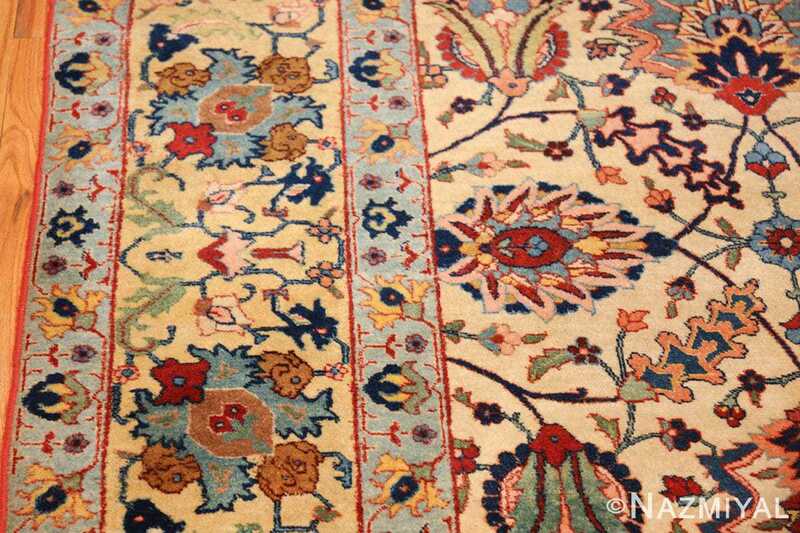 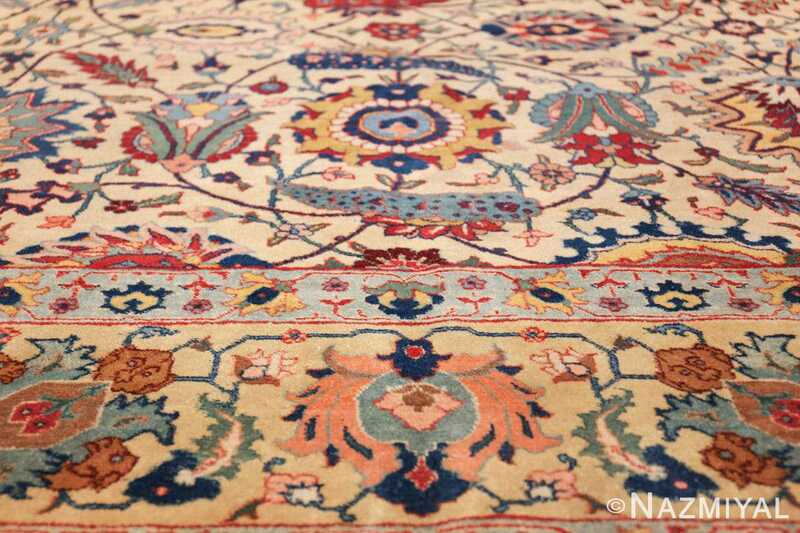 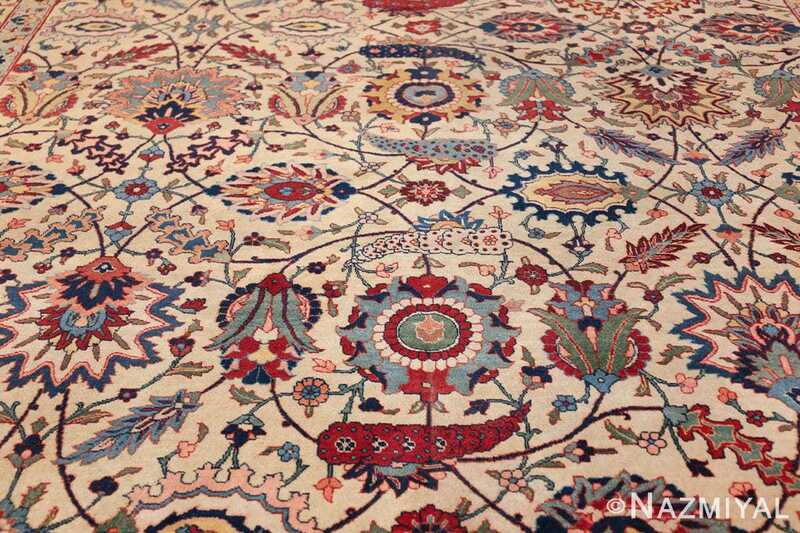 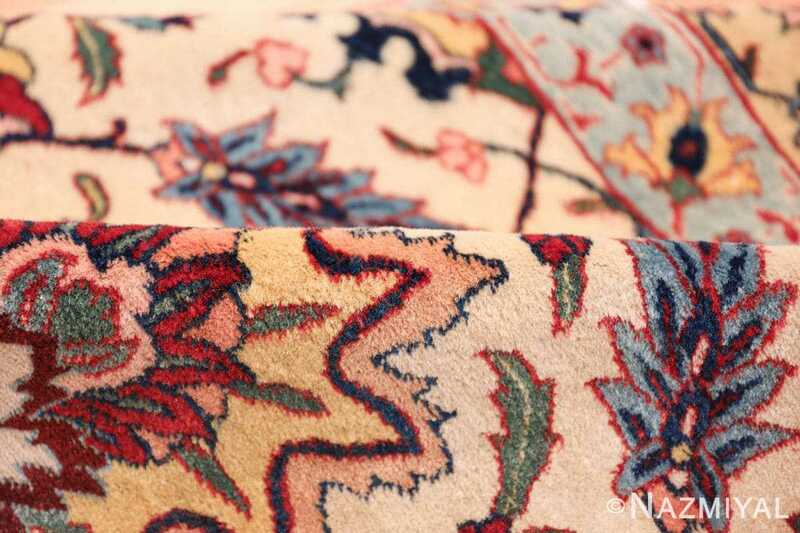 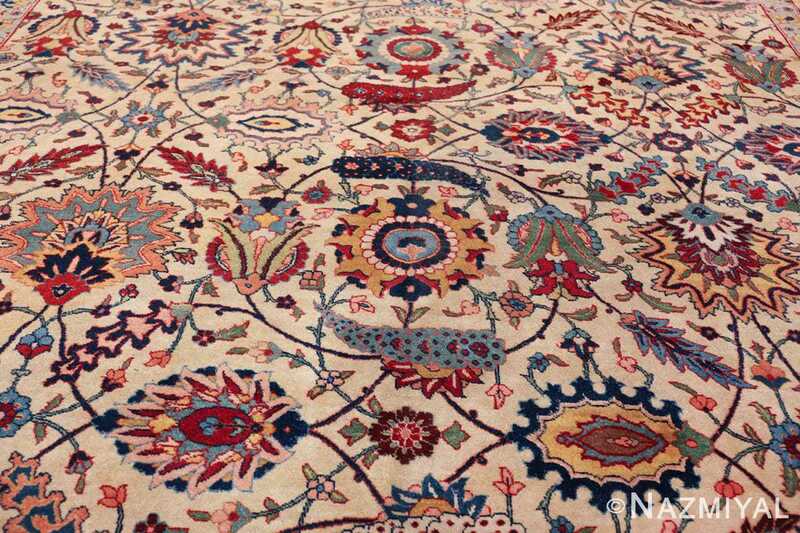 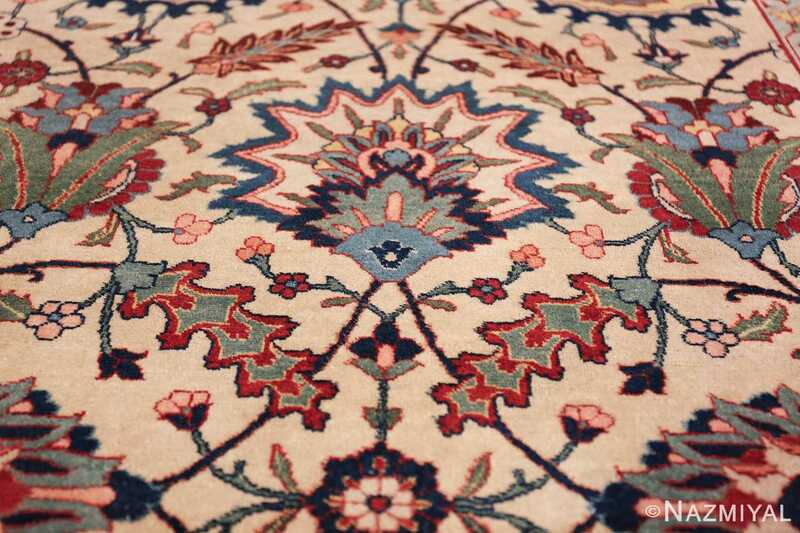 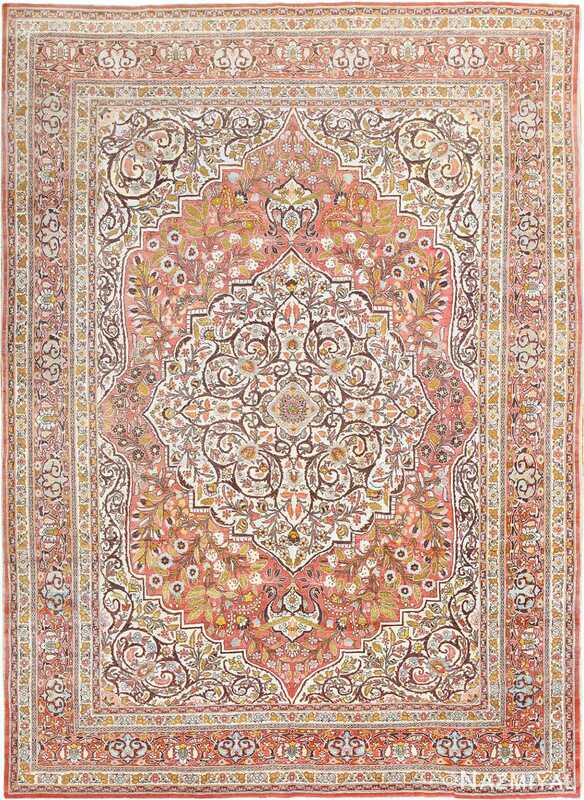 This coloration helps to elevate the complexity and overall artistic impact of the Persian design patterns. 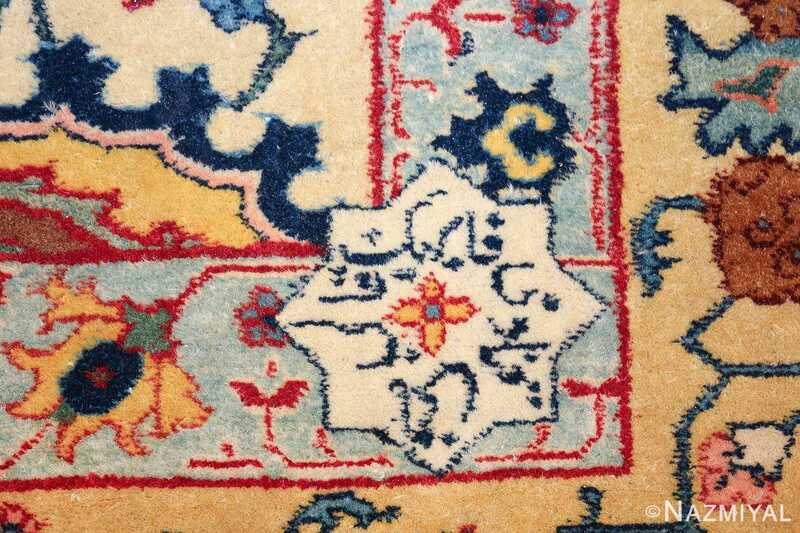 The floral Persian sickle leaf design dominates the central field of the Persian Benlian Tabriz rug . 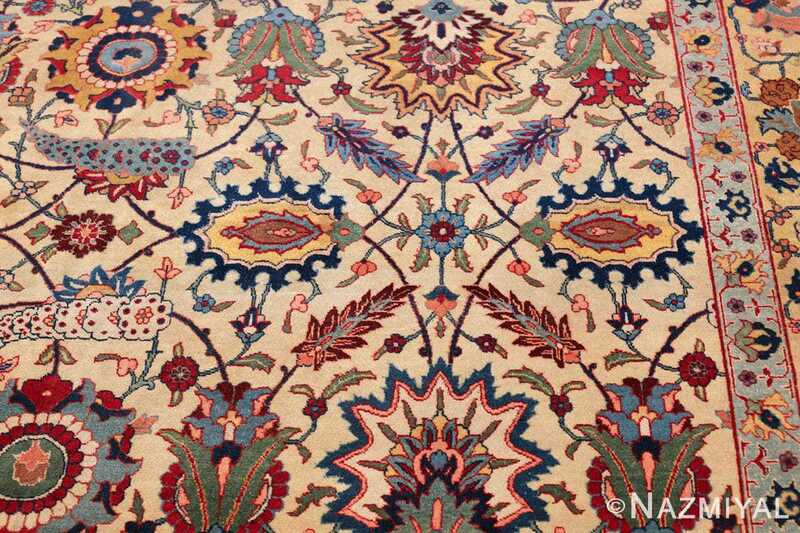 These extremely refined patterns establish a sense of powerful naturalistic qualities. 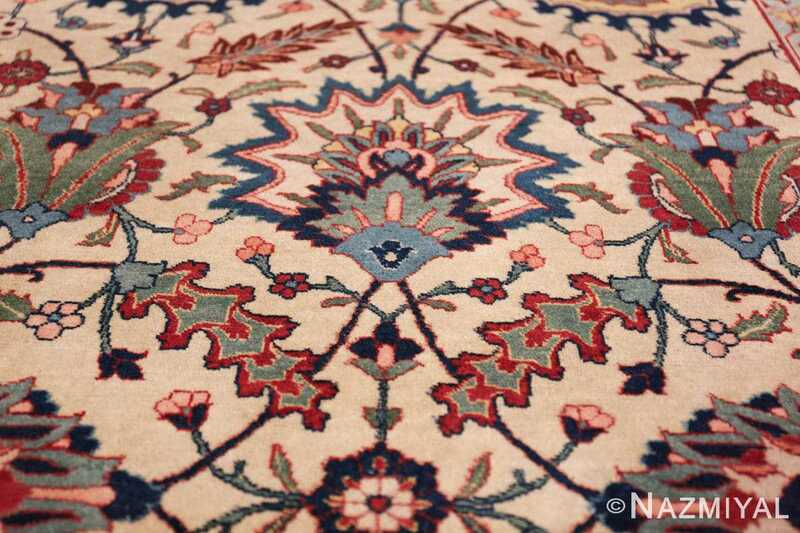 Though this specific pattern is one that we see in very early rugs, the colors that were used in creating this specific piece, were carefully selected to give it a far more updated and more modern and even somewhat contemporary look and feel. 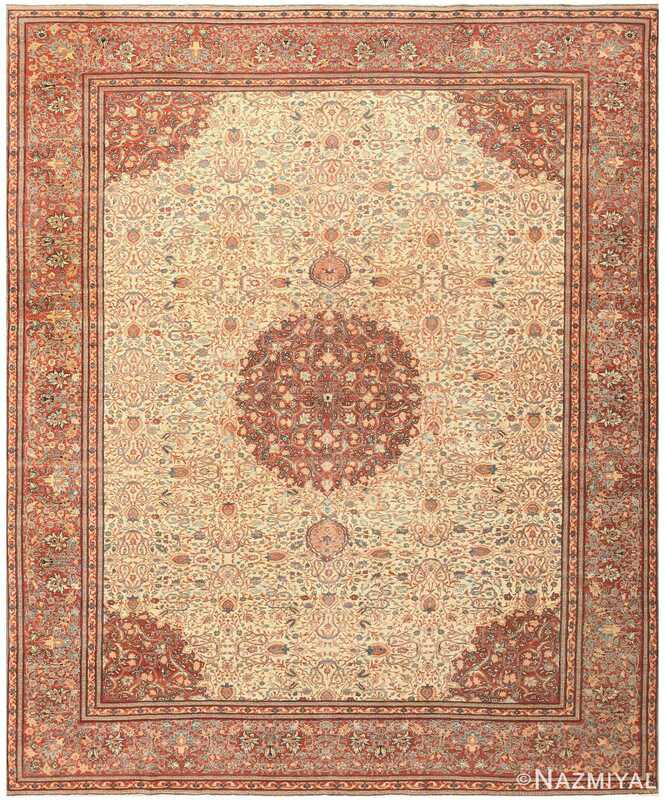 The design itself is very symmetrical which give this antique Persian rug an overwhelming sense of balance. 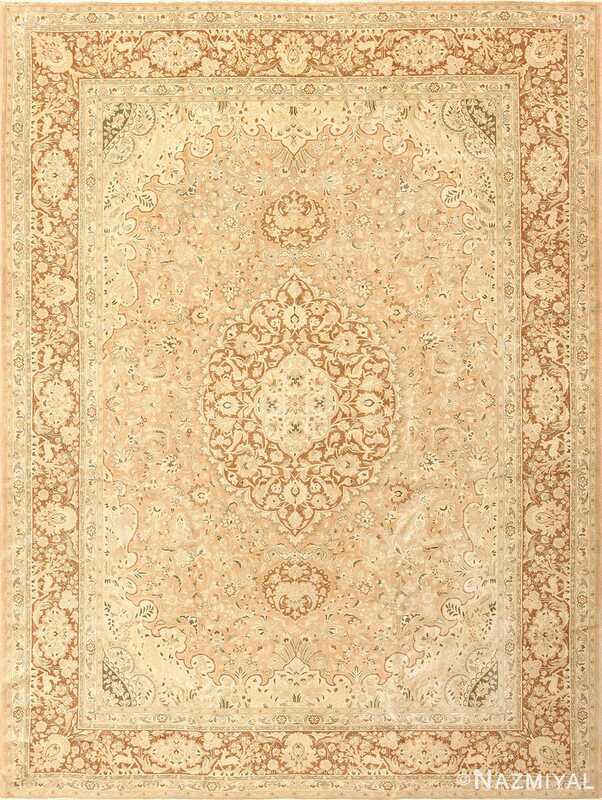 The combination of soft happy colors with the refined and elegant large scale all over design, make this an extremely decorative rug. While this Persian Benlian Tabriz rug is surly Oriental in look and feel, it has a certain quality to it that makes it easy to incorporate in many different interior design and decors. It’s soft yet bright happy impact is sure to bring a smile to any person who sees it.